It can be Applied to Various Types of Equipment! 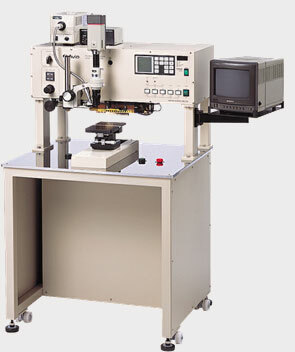 Semi-Automatic Equipment Accommodating the Heater Tool: It can be used for wide range of applications covering from thermo-compression bonding of ACF or heat seal of LCD to soldering. CCD Camera and LCD Monitor can be Connected as Options: Work can be postponed while monitoring the image from the CCD camera. *We can Propose an Automated System SatisfyingYour Requirement.